This manual covers every relevant aspect of regional anaesthesia and analgesia with particular emphasis on the basic practical applications. It is intended to provide a concise source of information in a simple easy-to-understand style, so that conduction blocks can be practised confidently for better patient care. 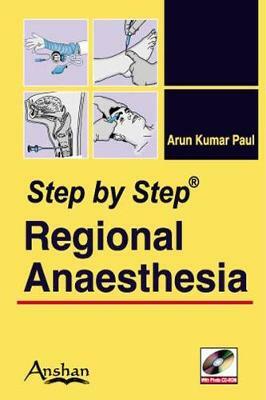 "Step by Step Regional Anaesthesia" contains over 100 line drawings and explanatory diagrams which illustrate the commonly used techniques of conduction block, including nerve blocks, and which are also given on a free-photo CD-ROM. This is the very first handy pocket manual on the subject, and will prove to be a useful revision aid for medical students as well as a valuable reference guidebook of regional anaesthesia/analgesia for practising anaesthetists at all levels.